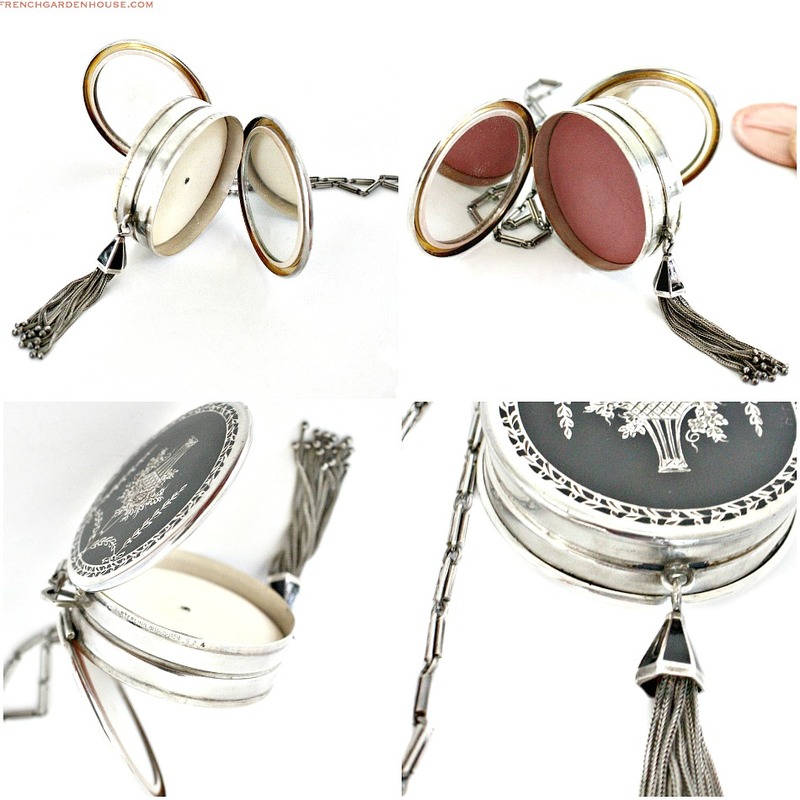 Delicious Antique Black " French " Enamel and chased Sterling Silver double sided duo Compact, in pendant form with a heavy Sterling Silver chain handle. 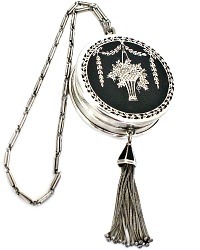 What makes this elegant compact even more special is the heavy sterling silver tassel that swings from an enameled fob on the bottom. Collectible, stunning and in wonderful condition, this early 20th century has a powder and rouge pan, two mirrors. The rouge is still intact, each side has the original powder puffs. The design is lovely, a floral basket with divine details, surrounded by a flower garland. 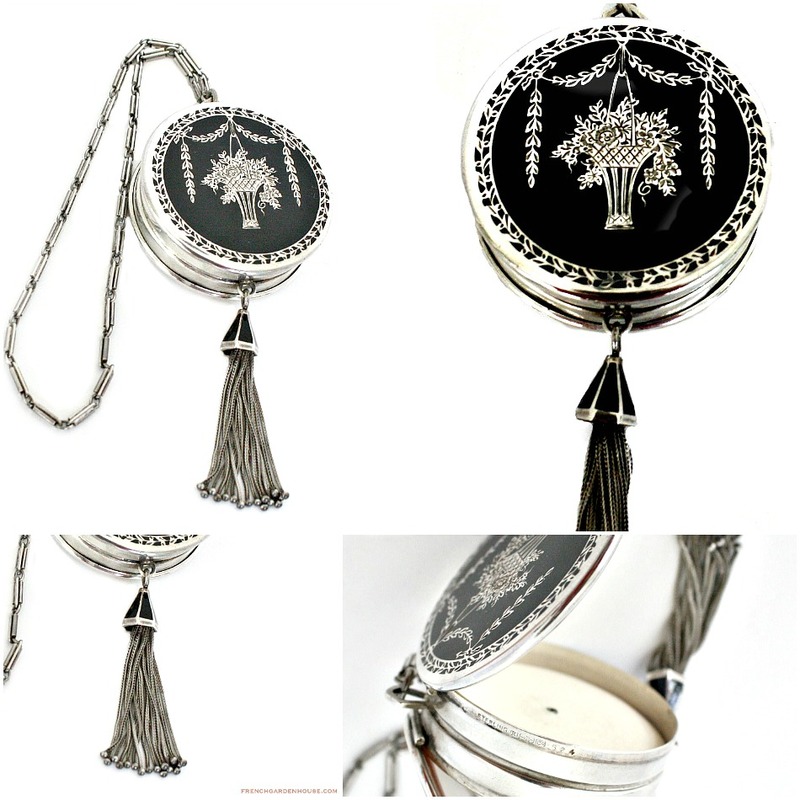 This is a fabulous addition to your collection of vanity purses and cases, or a luxury gift to present to someone you love. Fully signed with hallmarks corresponding to R. Blackington Co., marked sterling and 624, this is truly a treasure, it's one of the most pristine clean pieces I've ever had. 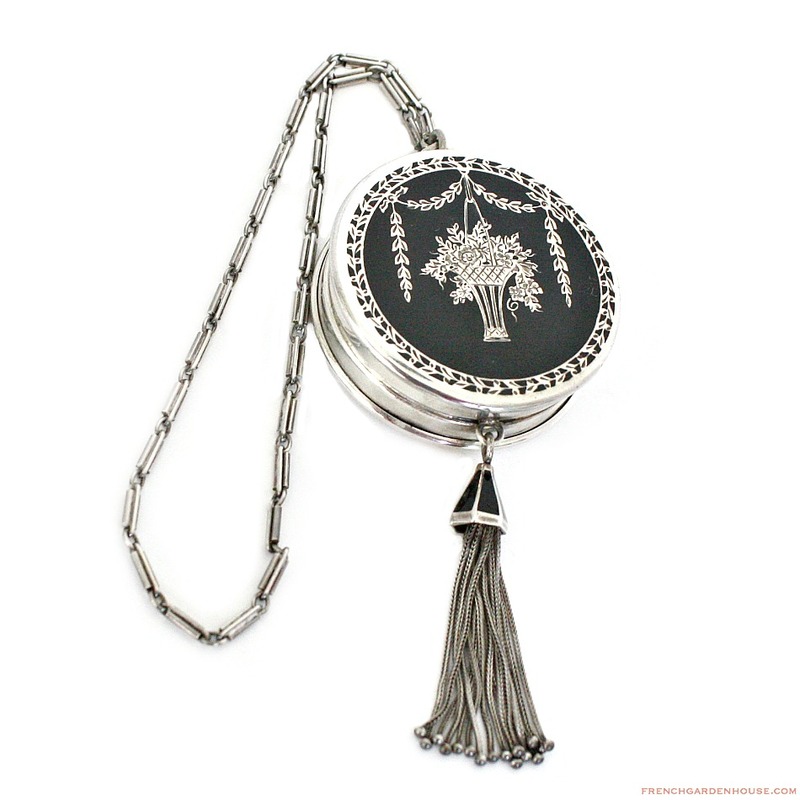 Measures 2" in diameter; tassel: 2"; chain measures 12"long, so a 6" loop.